I wanted this to be a thoughtful comparison of two films made over a dozen years apart, the basic story traveling from one industry to another but taking its leading man and several visual details along for the ride. Unfortunately, subtitles did not materialize on Agni Pariksha, so I can't in fairness or with certainty say as much about it as I had hoped. Unlike Akash Kusum (1965)/Manzil (1979), which is a Bengali/Hindi remake pair with an interesting story told with thought and experimentation, the Agni Pariksha (1954)/Chhoti Si Mulaqt (1967) pair is a steaming pile of crazy that in the Hindi remake is, by its own admission, regressive in its treatment of women. 2) this story is primarily about Tapasi and her ethical turmoil and the performance of it by Suchitra Sen. Uttam Kuamr is in the film, but it absolutely belongs to her. The Hindi version has even more WTF in addition to the child marriage and the upholding of both the tradition and those who advocate it. 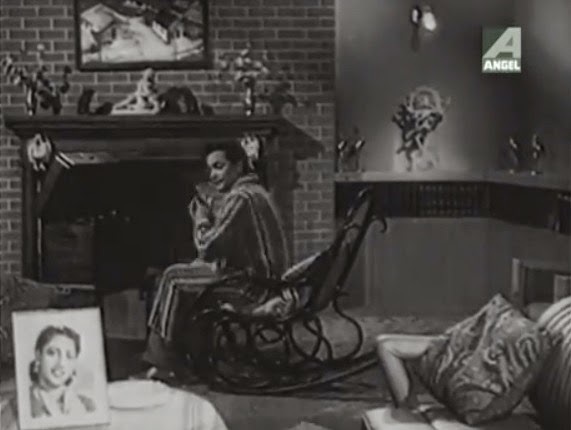 As is absolutely no surprise, Chhoti Si Mulaqat is fond of stalking=love as Ashok (Uttam Kumar again) tries to wear Rupa (Vyjayanthimala) down over at least three meetings. She only changes her mind after she learns that he took her photo ages ago without her knowledge and kept it by his bedside. Romantic! Rupa is furious at her mother, who represents modern thought by refusing to acknowledge the child marriage, finding a lawyer who assures them of an easy divorce, and basically demanding of her daughter "You're so educated. How can you believe in this crap?" More significantly, the film ends with the horrifying revelation by Ashok that he has for awhile known the most important piece of information in the story (the fact that they are each other's child marriage) but has been withholding it from Rupa. 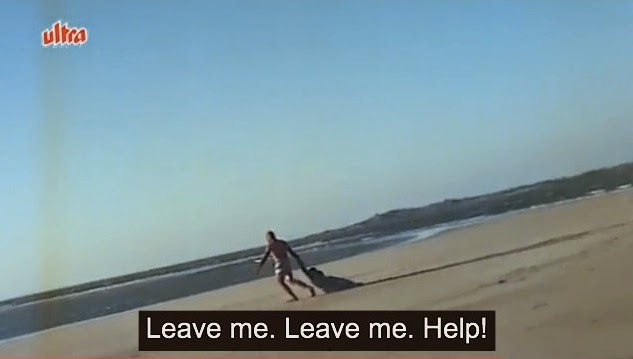 (Bengali Cinema: An Other Nation states that Kirit knows it too, but since I couldn't tell that without subtitles, I'm not going to discuss it.) He calmly stands by while she is publicly humiliated and suffers emotionally and psychologically as she tries to reconcile a past she never chose with competing paths in the present; his excuse is that he wants her to choose to act on values and tradition rather than on romantic attachment. 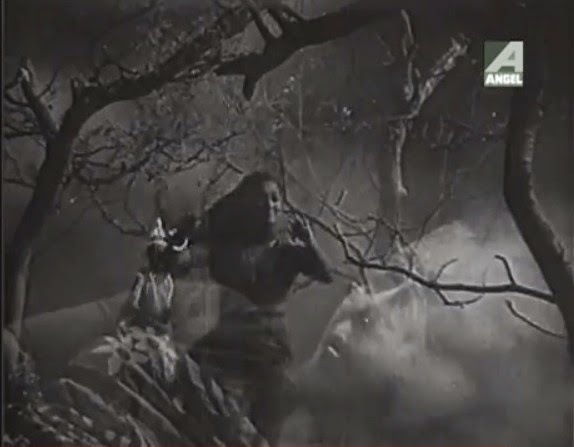 In a contrast that may or may not be very telling about each cinematic culture, Gooptu's description of Kirit's choice to remain silent in Agni Pariksha is because he wants Tapasi to genuinely love him, not just to hold to a traditional practice in which she had no willing participation—that is, the Bengali hero in 1954 needs his heroine to be modern enough, whereas the Hindi hero in 1967 needs his heroine to be traditional enough. Chhoti Si Mulaqat thus makes it crystal clear that the tradition of child marriages and women having to stick with whatever marriage they were assigned by their elders, no matter what other options they may want to pursue or whom they actually love or even know, is unalterable. Thirteen years forward, centuries back. 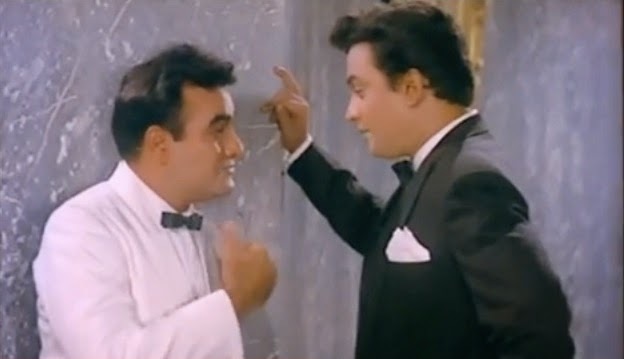 Also WTF but of much less relevance to anything that matters is the strange Shammi Kapoor-esque acting by Uttam Kumar in the beginning of the Hindi version. I suppose Shammi is as good a role model as any for portraying stalking=love, but it is a 180 from the typical Uttam Kumar hero-giri in his Bengali movies, even in things like Saptapadi or Chaowa Pawa in which the heroine hates him before growing to love him. Which is fine, but it's very strange (as is seeing him in color in this time period). Not to mention the addition of comic relief (an atypically annoying Rajendra Nath) and a frenemy vamp (Shashikala in a glorious bouffant), both of which are so grating and unnecessary that I really am not going to mention them any further. As you might expect, the Hindi version also includes more and longer songs. They provide the one thing I thoroughly like better about the remake: the title song, which features not only a shimmying Vyjayanthimala in a glittering white sari and gems but also Uttam Kumar doing his absolute darndest to keep up with her—and mostly succeeding, in my opinion. I'd love to know more about his decision to do this song; I don't think I've ever seen him dance at all in Bengali movies, and certainly not with anywhere close to this much energy and actual choreography. It's a gift I didn't know he had and I'm thrilled that someone had the bright idea to unwrap it on camera and now I will stop with this analogy. Actually, all of this song is great, musically, visually, narrative-ly: the party guests who join in, the flustered Rajendra Nath (who had just tried to embarrass Ashok by making him dance publicly, but HA HA joke's on you! ), the brass, and the later visualization of just the lead pair, still dancing but all on their own in a darkened but sparkly room, perfectly illustrating that heady feeling of being utterly wrapped up with the person you love as the rest of the world slips from your consciousness. Sometimes the "more more more" of Hindi films is unwelcome in addition to unnecessary, but in general Chhoti Si Mulaqat has a nice attention to its greater range of details that makes viewing extra pleasurable. Both versions are pretty and set up consistent social settings for their characters, but there is more variety in the remake. Some of these details parallel really well, and I enjoy watching them pop up. The photo of the love interest that is a mark of the hero's creepiness and arrogance in the Hindi version is somehow sweet in Bengali; the hero is embarrassed when the heroine walks in while he's gazing at it. I also looooove the dream (nightmare) sequences in both films and think they work well in both contexts. Both depict the heroine in physical harm and use male figures to augment the danger (note the groom on the left in the first image below). One detail that didn't make the jump to the Hindi version nearly as well is the telephone, which in Agni Pariksha becomes a threat because Tapasi doesn't want to deal with who/what is on the other end, and it gives Suchitra Sen an opportunity to do her some of her famous (at least between Amrita and me) freak-out act!ing! I don't prefer the look of one film over the other—both have visual strengths. 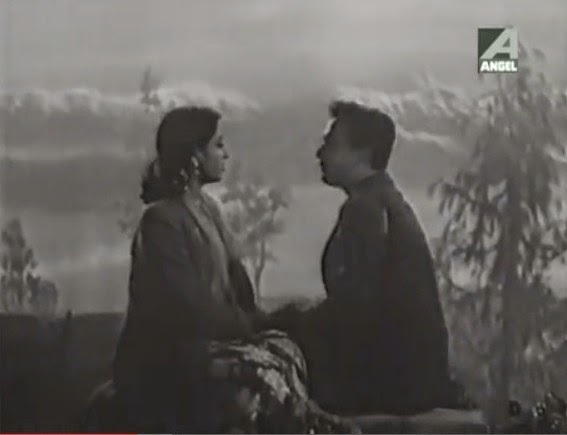 The mountains and fog in the early part of the love story in Agni Pariksha are simply beautiful, even if some of them are painted, and they create an atmosphere of worry and uncertainty that will be picked up in dialogue and faces later in the film. 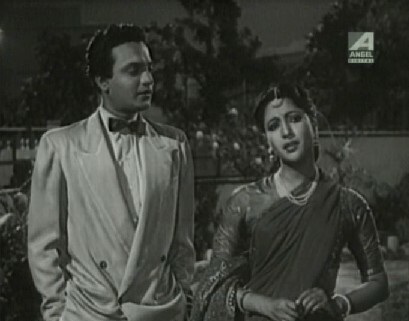 As with many black and white Bengali films, most of the styles still look classy sixty years later (with the exception of the tuxedo mentioned above). Its props and techniques aren't charming because they're smaller-scale—they're charming because they create mood and setting for the story that make sense. Chhoti Si Mulaqat has location filming, with blue skies and bright snow mirroring Rupa's disposition as an adult. I will never not love a filmi bouffant or 1960s knitwear, but some of the makeup is garish in technicolor. I've become accustomed to the Uttam-Suchitra dynamic of calm depth and drama-o-rama, and I think it was really smart of Uttam to have Vyjayanthimala keep up that balance (he produced the remake) because it keeps him free to do the nonchalance that he does best. The two heroine characters have different tones, and the actors bring these out. If you need a woman to stand tall and stick out her chin and refuse to be bullied by your opinions and yell back at you, Suchitra Sen is definitely the one to call, and I love how she portrays characters who refuse to back down. But Rupa is different from Tapasi in this regard: she's a bubblier, livelier person, and I love how Vyjayanthimala has such a mischievous gleam in her eye in certain scenes. It's probably fair to say the characters show a sort of woman/girl dichotomy, again indicating that the Hindi version is even less interested in depicting or valorizing independent, adult females. Both of these films are great examples of why "women-centric" is such a frustrating term. Agni Pariksha and, to a lesser but still important degree, Chhoti Si Mulaqat focus on their heroines. The writers and directors give the women time and energy to think through complicated circumstances and make their own decisions. In fact, multiple generations of women have significant power in the stories: the girls' grandmothers are ultimately responsible for allowing and supporting the child marriages, and the girls' mothers are key figures in protesting the worth and validity of those marriages. But none of that means that the films as texts are particularly feminist, progressive, or even egalitarian. A story that was truly interested in having women in charge of the decisions that affect their lives would not marry them off as children and blind them them from the complete knowledge of the situations that entrap them. It is Kirit/Ashok who holds the final card, and in both cases he plays it in a way that upholds his power to shape and approve of the heroines' choices. But hey, they make for good gifs. * Are there any Hindi masala films that have a long-lost spouse among the hero's generation (so, not the parents in Waqt or Amar Akbar Anthony)? the review is thought provoking as usual. By the way, the name of Uttam Kumar's character in the Bengali version is Kiriti and not Kirit. And Beth pls pls watch Indrani and Surjyatoran. Please. Thanks Sukanya! And I have seen Indrani. I'd heard all of that very interesting story except the part about the dance influencing subsequent films! :) Which I will now do immediately. Do you have any idea why the film bombed so badly? Aditi - Ohhhh I completely forgot about that one! Yes yes. ideallaedi - Do you know, I've even seen Kanyaadaan? Clearly not a memorable film for me. :) I haven't seen Mukti yet but will look for it. I hardly get the time to go through the blogs I follow. Today was one of those days when I suddenly found some time on hand and decided to take a look at some of the blogs I follow, that is the reason why you find me here. Thanks for all this context, Shilpi! I thought he did a pretty good job in the song and dance - and other aspects too. Just a slightly odd fit with Vyjayanthimala at times, but that's hardly surprising.